A stimulus that causes (or is on the verge of causing) tissue damage usually elicits a sensation of pain. 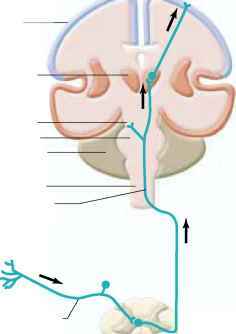 Receptors for such stimuli are known as nociceptors. They respond to intense mechanical deformation, excessive heat, and many chemicals, including neuropeptide transmitters, bradykinin, histamine, cytokines, and prostaglandins, several of which are released by damaged cells. These substances act by combining with specific ligand-sensitive ion channels on the nociceptor plasma membrane. 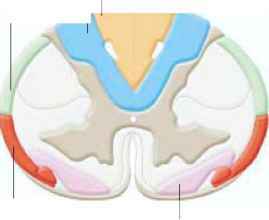 (a) A reference cross section of the spinal cord showing the relative locations of the major ascending fiber tracts. (b) The anterolateral system. (c) The dorsal columns. Information carried over collaterals to the reticular formation in (b) and (c) contribute to alertness and arousal mechanisms. Parts b and c adapted from Gardner. Location of pathway terminations for different parts of the body in somatosensory cortex, although there is actually much overlap between the cortical regions. The left half of the body is represented on the right hemisphere of the brain, and the right half of the body is represented on the left hemisphere. Several of these chemicals are secreted by cells of the immune system (described in Chapter 20) that have moved into the injured area. In fact, there is a great deal of interaction between substances released from the damaged tissue, cells of the immune system, and nearby afferent pain neurons. All three of these—the tissue, immune cells, and afferent neurons themselves— release substances that affect the nociceptors and are, in turn, affected by these substances. Pain differs significantly from the other so-matosensory modalities. After transduction of the first noxious stimuli into action potentials in the afferent neuron, a series of changes occur in components of the pain pathway—including the ion channels in the no-ciceptors themselves—that alter the way these components respond to subsequent stimuli, a process referred to as sensitization. When these changes result in an increased sensitivity to painful stimuli, it is known as hyperalgesia and can last for hours after the original stimulus is over. Thus, the pain experienced in response to stimuli occurring even a short time after the original stimulus (and the reactions to that pain) can be very different from the pain experienced initially. Moreover, probably more than any other type of sensation, pain can be altered by past experiences, suggestion, emotions (particularly anxiety), and the simultaneous activation of other sensory modalities. Thus, the level of pain experienced is not solely a physical property of the stimulus. The primary afferents having nociceptor endings synapse on interneurons after entering the central nervous system (glutamate and the neuropeptide, substance P, are among the neurotransmitters released at these synapses). Some of these interneurons form the ascending anterolateral system, the pathway on one side of the spinal cord receiving information from receptors on the opposite side of the body (see Figure 9-18b). These pathways transmit information that leads to both the localization of pain and its sensory and emotional components. of the somatic afferent fibers is the more usual source of afferent discharge, so we "refer" the location of receptor activation to the somatic source even though, in the case of visceral pain, the perception is incorrect. Analgesia is the selective suppression of pain without effects on consciousness or other sensations. Electrical stimulation of specific areas of the central nervous system can produce a profound reduction in pain, a phenomenon called stimulation-produced analgesia, by inhibiting pain pathways. This occurs because descending pathways that originate in these brain areas selectively inhibit the transmission of information originating in nociceptors. The descending axons end at lower brainstem and spinal levels on in-terneurons in the pain pathways as well as on the synaptic terminals of the afferent nociceptor neurons themselves. Some of the neurons in these inhibitory pathways release or are sensitive to certain endogenous opioids (Chapter 8). Thus, infusion of morphine, which binds to and stimulates opioid receptors, into the spinal cord at the level of entry of the active noci-ceptor fibers can provide relief in many cases of intractable pain. This is separate from morphine's effect on the brain. Transcutaneous electric nerve stimulation (TENS), in which the painful site itself or the nerves leading from it are stimulated by electrodes placed on the surface of the skin, can be useful in lessening pain. TENS works because the stimulation of nonpain, low-threshold afferent fibers (for example, the fibers from touch receptors) leads to inhibition of neurons in the pain pathways. We often apply our own type of TENS therapy when we rub or press hard on a painful area. 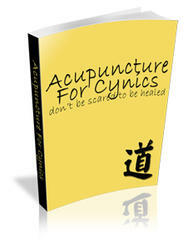 Under certain circumstances, the ancient Chinese therapy, acupuncture, prevents or alleviates pain. During acupuncture analgesia, needles are introduced into specific parts of the body to stimulate afferent fibers, which causes analgesia. Endogenous opioid neuro-transmitters are involved in acupuncture analgesia. Stimulation-produced analgesia, TENS, and acupuncture work by exploiting the body's built-in mechanisms that control pain. 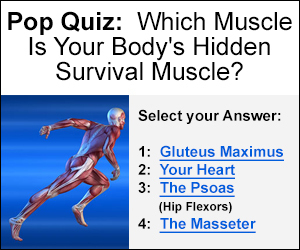 Why left arm pain in heart attack nerves afferent? 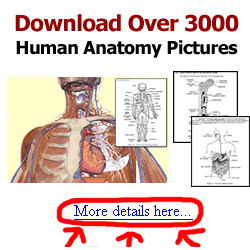 Where is anterolateral on the human body?